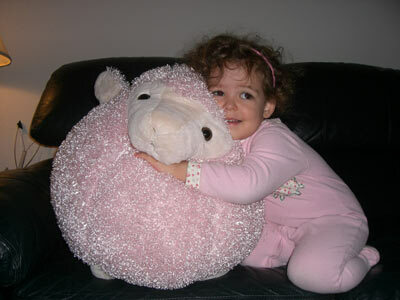 For a while it seemed it was all about the giant squishy sheep . . . But it quickly became all about the chocolate . 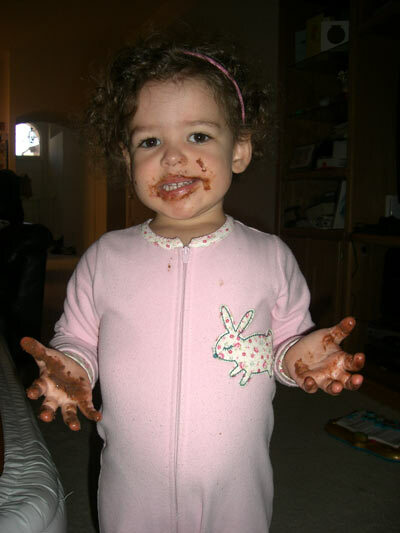 . .
And are you marveling at the relative lack of chocolate stains on her pajamas? Pretty amazing, huh? That is a huge sheep.